Of all the ways that Ron Previte – a dirty cop turned mob capo turned FBI informant – could have met his end, few thought it would come with a heart attack at the age of 73. While working as a Philadelphia police officer in the 1970s, Previte routinely took bribes, and shook down pimps and drug dealers for money. Later, as a Mafia soldier, he walked a tenuous line during a bloody mid-1990s factional war, drawing the ire of mob bosses who purportedly wanted him dead. And after turning government witness during trials that helped put more than 50 mob associates in prison, Previte took to sleeping each night in a different room of his home, stuffing pillows under bedroom blankets to throw off would-be assailants. Nevertheless, the 6-foot, 300-pound turncoat — who often described himself as a “general practitioner of crime” — managed to survive it all. He died last week at a South Jersey hospital, according to an obituary from Carnesdale Funeral Home in Hammonton. The funeral home’s 200-word death notice makes no mention of the colorful career that brought Previte to local prominence. But more than perhaps any other mob informant in the city’s history, his work with the FBI helped to expose the petty rivalries, greed, and outsize personalities that have left Philadelphia’s crime family a hollow husk of its former self. 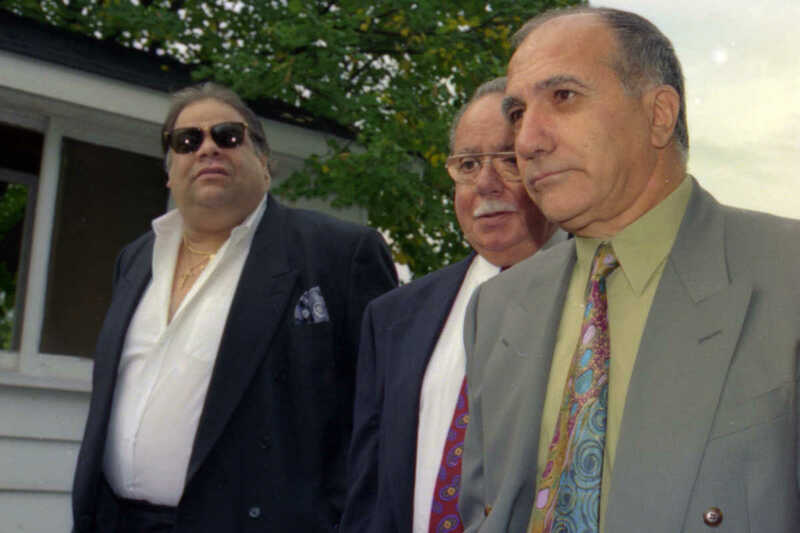 Information he provided and the more than 400 hours of conversations he recorded while wearing a body wire for more than a year in the ’90s led to the arrests and convictions of mob bosses John Stanfa, Ralph Natale, and Joseph “Skinny Joey” Merlino, as well as corrupt political figures including former Camden Mayor Milton Milan. And despite the constant risk to his life, Previte appeared to relish his role. By his own admission, Previte engaged in almost every criminal act in the book — including gambling, loan-sharking, extortion, drug dealing, and assault during his three-decade criminal career — and somehow managed to spend only one day in a jail cell. “I thought about nothing but making money from the minute I got up until the minute I went to bed,” he told the New Jersey State Commission of Investigation in 2004. And yet, Previte saw little distinction between what motivated him to begin climbing the ranks of Philadelphia’s La Cosa Nostra and what prompted his turn against it. “It was always about the money,” said Grimes. And the FBI paid him handsomely, to the tune of $750,000, for the work he did for the bureau – a sum that prompted Merlino to quip during his 2001 trial that if Grimes could land him a deal that good to flip on his pals, he would have hired the lawyer on the spot. From the start, Previte was enamored with the criminal life. The role he played in the undoing of the Philadelphia mob was chronicled in former Inquirer reporter George Anastasia’s 2005 book, The Last Gangster. Born in 1943 in Philadelphia to first-generation Sicilian American parents, Previte told 60 Minutes in 2004 that some of his earliest memories were of neighborhood gangsters dressed in fedoras and driving Cadillacs while collecting on their bookmaking activities. It wasn’t until he joined the Philadelphia Police Department after returning from serving in the Air Force in the Vietnam War that his own criminal career began in earnest. There, Previte would later admit, he stole from crime scenes, knocked heads of no-goodniks and solicited payoffs from bookies and mobsters, pocketing thousands of dollars a week on top of his regular paycheck. Later, when he went to work as a security officer at Atlantic City’s Tropicana Casino Hotel in the ‘80s, he quickly gained a foothold stealing trucks of furniture and bar supplies out of the casino warehouse and money from guests while running prostitutes and poker games out of unoccupied suites. The modest criminal empire he built out of a diner on the White Horse Pike in Hammonton quickly gained attention – both from the Philadelphia mob, which sought a cut of his action, and the New Jersey state police, who first cultivated him as a source of information on the criminal underworld. Previte’s willingness to work with law enforcement – for the right price – ultimately blossomed as he became more and more ingrained in the Philadelphia crime family. Federal authorities would later credit him with providing information that thwarted several attempted murders in the long mid-’90s feud that pitted then mob-boss Stanfa against a faction led by Natale and Merlino. And while Previte did not testify at Stanfa’s 1995 trial, that same information was later used to convict the mob boss and several of his top associates. As one of the few Stanfa acolytes to avoid arrest, due to his quiet cooperation, Previte should have stood out like a sore thumb, said his lawyer, Grimes. Yet, he somehow managed to work his way back into Natale’s and Merlino’s inner circle – this time wearing a wire strapped to his groin. Edwin Jacobs, Merlino’s longtime attorney, who once referred to Previte as a “sleazeball career criminal,” recalled Tuesday the six days he would later spend at his client’s 2001 trial, grilling Previte about the tapes he made. After Merlino and Natale were sent to prison, Previte was left too exposed to continue his work with the feds and slipped into an uneasy retirement. Despite the risk to his life, he turned down offers for witness relocation and lived out the final years of his life under an assumed name in Hammonton. He wanted to remain close to his family, Grimes said. Despite being proud of the work he had done with the FBI, Previte testified in 2004, he never forgot the costs. “I’m never at ease with what I did most of my life,” he told the New Jersey investigators. “You wait for the door to come down in the middle of the night. You wait for a bullet to come through the window. You walk out and hit the button to open your car and you wait to get shot.